Got old clothes which you want to recycle but dunno how to? Let these tailors in Dakshinapan help you out (for the most nominal charges ever). We all have a bunch of old clothes that we don’t feel like wearing anymore, right? But before you throw them away, what if we told you that you can jazz up all your old clothes for just twenty or thirty bucks? Yes, we are not kidding! 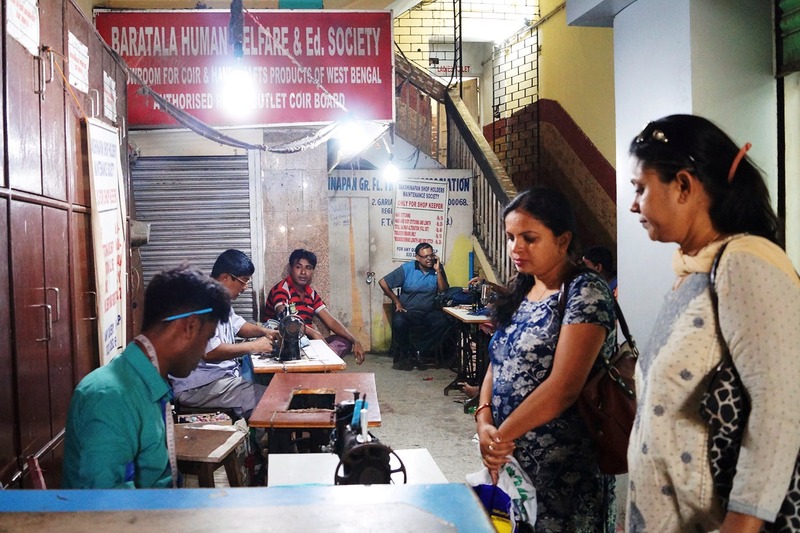 This line of tailors who sit inside Dakhinapan Complex (in Dhakuria) are famous for jazzing up both old and new clothes, and there’s almost nothing they can’t do. Want to get a pair of old denim ripped or cut into shorts or capris? Want to get your skirt hemmed? Or kurtis altered to fit you better? Or some kitschy embroidery done on a boring shirt? Or even bags made out of old curtains and the likes? You name it, they will do it for you. And that too, without burning a hole in your pocket (40 bucks max!). Jazzing up old clothes cannot get cheaper than this. They will chip in with their suggestions when you give them something to alter. So say, if they feel that a certain alteration might ruin the fabric, they will find innovative ways to work around it. They take anywhere from 15 minutes to a few hours (depending on how many clothes you give them or how many customers they are attending to). Fast, right? Ample time for a quick self-date at Dolly’s Tea Shop or some retail therapy around Dakshinapan! They open at 11.30am and close at 8pm, so it’s best if you go in the morning when there are not many customers in line. They stay closed on Sundays. Not just alterations, they are also known for tailoring great things out of fabric or dress material. You can get designer blouses, kurtis, dresses, and tunics made here. Since they are experts at alterations and fittings, you can be assured that the clothes they tailor for you will be fitted to perfection. They charge about INR 400 for tailoriing and take a maximum of four days to get it ready. Finding them can be tricky. Enter the complex through the main front gate, keep the Biswa Bangla store to your right and keep walking straight. When you see the Khadi Gramodyog Bhavan to your right, stop and enter the narrow lane just hugging the store. That’s where you’ll find around ten independent tailorsall stitching away on their machines.